On the 17th of April, BBI JU (Bio–Based Industry Joint Undertaking) will organise its fifth Info Day & Brokerage event in Brussels, following the official launch of the 2018 Call for proposals which is foreseen for the 11th of April. This event is aimed at companies and research organisations that are interested in European Funding for Bio–based Industries Joint Undertaking (BBI JU) and who wish to work with the European counterparts in collaborative research and innovation projects. To this scope, the event will provide an overview of the opportunities in the bio–economy sector in Europe and shed light on the updated SIRA (Strategic and Innovation Research Agenda), providing potential applicants with detailed information on how to prepare and submit a good proposal for the 2018 BBI JU Call. 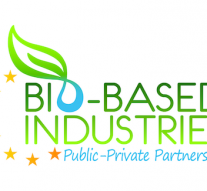 The Bio-Based Industries Joint Undertaking (BBI JU) is a €3.7 billion Public-Private Partnership between the EU and the Bio-based Industries Consortium. Operating under Horizon 2020, this EU body is driven by the Vision and Strategic Innovation and Research Agenda (SIRA) developed by the industry. The overall objective of the BBU JU is to implement a programme of research and innovation activities in Europe that will assess the availability of renewable biological resources that can be used for the production of bio–based materials, and on that basis, to support the establishment of sustainable bio–based value chains. The specific objectives of BBI are to contribute to a more resource–efficient and sustainable low–carbon economy and to increase the economic growth and employment, in particular in rural areas, by developing sustainable and competitive bio–based industries in Europe, based on advanced bio–refineries that source their biomass sustainably. set up flagship bio–refinery plants that deploy the technologies and business models for bio-based materials, chemicals and fuels and demonstrate cost and performance improvements to levels that are competitive with fossil–based alternatives. to create and accelerate the market–uptake of bio–based products and applications. These pillars form the four strategic orientations of the bio–based industry in Europe. Each strategic orientation, or SO, has its sub–orientations. All proposals should specifically demonstrate the benefits versus existing state–of–the–art technologies. This might include evidence of new processing solutions and new products obtained. RIA actions aim at filling the technological gaps within specific value chains. The impact for the whole value chain must be clearly shown. For RIA actions the Technology Readiness Level (TRL) at the end of the project should be in the range of 4 to 5, except for some topics where another TRL is given. Innovation Actions should address the whole value chain from feedstock sourcing to the market applications. Moreover, a “demonstration” action shall include the establishment of a demo–scale production facility in Europe, being it a new installation, substantial modification of an existing facility, or use of existing demo facilities. A “flagship” action aims at supporting the first application/deployment in the market of an innovation that has already been demonstrated but not yet applied/deployed in the market due to market failure/barriers to uptake. Proposers for a flagship project shall provide clear evidence of previous validation of the proposed process at demonstration scale. Coordination and Support Actions can address cross-sectorial challenges and supporting value chains through knowledge development (studies) and networking. In 2018 the call has an indicative budget of EUR 115 million for a total of 21 topics with 11 RIAs topics, 3 CSAs, 5 DEMOs and 2 FLAGs. For the first time in BBI JU Calls the RIAs include 6 RIA topics with the additional eligibility criterion that at least one participant of each consortium has to be a constituent entity of the Bio–based Industry Consortium (BIC). (e) international European interest organisations. Indicative deadline: 6 September 2018 17:00:00 (Brussels local time) – (single stage call). Indicative budget: EUR 115 million.